In an interview with CBS' "Face the Nation", former US Secretary of State John Kerry berated President Donald Trump for having described the Iran nuclear accord, or the Joint Comprehensive Plan of Action (JCPOA) as the "worst deal ever." "Unfortunately — and I say this sadly — more often than not, he really just doesn't know what he's talking about. He makes things up. And he's making that up, as he has other things," Kerry, who led the US team in nuclear negotiations with Iran, pointed out. He rejected Trump's allegations that the JCPOA was ostensibly weak and harmful to the US as false, adding that they could disrupt "the possibilities of international nuclear policy." "Just saying that doesn't make it that. This is the toughest agreement in terms of inspection, accountability — no country has had to do what Iran did in order to live up to this. But to just walk away?" Kerry underscored. He recalled that JCPOA signatories China, France, Germany and Britain have all tried their best to preserve the Iran deal and that "only the United States walked away." READ MORE: Iran Deal: 'Trump’s Decision To Pull Out Isolates US Rather Than Iran' — Prof.
"Only Donald Trump [did so]. His defense secretary thought he should keep it, his intelligence people thought he should keep it. The fact is this agreement is working," Kerry emphasized. Trump announced Washington's withdrawal from "the horrible, one-sided [Iran nuclear] deal that should have never, ever been made." He pledged to reinstate the "hardest" ever sanctions on the Islamic Republic, which are due to enter its second phase in November and are expected to hit Tehran's oil sector. Ahead of the announcement, Trump lambasted Kerry for reportedly trying to sit down with European leaders and Iran's foreign minister Javad Zarif in an attempt to salvage the JCPOA. 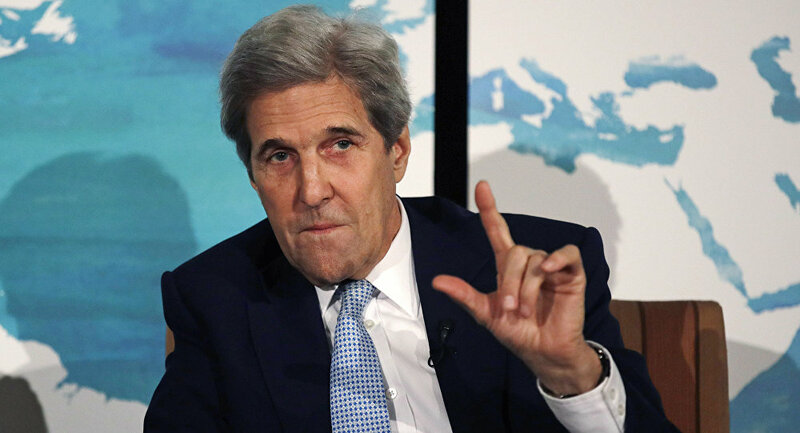 "John Kerry can't get over the fact that he had his chance and blew it! Stay away from negotiations John, you are hurting your country!" Trump wrote on his Twitter page at the time.